MAY MELTDOWN - lose weight & win money! Whether you want to shape up for summer in the northern hemisphere, or get into the groove of healthy habits before winter hits, the May Meltdown is for you! LET'S BURN SOME FAT, WOOHOO! BURN, BABY, BURN! How would you like to lose at least 4% of your body weight in a month? What if I told you that you could also be paid for achieving your goal? Once you're settled in with your account and you've had a look at the game page, you can place your bet. This game is a US$30 bet, which will work out to be around $32-35 with currency conversion. Diet Bet will take you through the payment process. Disclaimer: In case you're sceptical, Diet Bet is legitimate, secure and I've had a good rummage through all the terms and conditions and given it the thumbs up. So, every player pops $30 into the pot. At the end of the 4-week period, all of the players who lose between 4-12% of their body weight split the pot and end up with their money back (if everyone reaches their goal), or money back plus some (if some players don't lose 4%). Diet Bet will prompt you via the email address you signed up with - make sure you check your junk mail folders if you aren't receiving emails leading up to the start date. Sometime on May 3 or 4, you'll need to do your official weigh-in for your starting weight. The other official weigh-in will be June 2-3 at the end of the challenge to get your final weight. Your percentage of weight lost is then calculated using those two measurements. Your weight won't be displayed to other players! For official weigh-ins, Diet Bet will ask you to submit two photos (which no one will see besides the Diet Bet auditors). You'll need someone to take a full head-to-toe photo of you standing on a scale wearing your "weigh-in outfit" - I suggest your gym clothes minus shoes & socks. No accessories/hats/belts/watches/cats. The other photo will be of a close-up of the scale showing your weight and the shot must also include a piece of paper with the "word of the day" on it. Diet Bet will tell you what the word of the day is - this basically time stamps your photo to make sure it was taken within the correct dates :) You can weigh-in using kilograms or pounds, it doesn't matter. Once you've submitted your initial weigh-in photos, it's time to be fierce and get into action! I'd highly recommend (and will be doing this myself) checking in to the game page weekly with an unofficial weigh in. You don't need photos or to submit anything officially, it's just you essentially plugging in your weight in the "What's Happening" box on the game page. Again, no one will see your weight but your percentage of weight lost will be calculated and you'll see your progress in the "Unofficial Standings" leaderboard on the right-hand side of the game page. I also highly, HIGHLY recommend downloading the free Diet Bet iPhone app. It puts the game page at your fingertips and lets you check-in and see how the other players are going. Too easy. All through the challenge, you can be part of the MAY MELTDOWN support group. The game page will be an obvious spot for interacting with each other. It's a great way to talk about the challenge with just the players, rather than putting it all over Facebook if you're not comfortable with it. You can also follow The Sprout on Facebook, here, for more motivation, conversation and recipes! I'll be posting workouts, food blogs I'm loving, motivational quotes and whatnot! Lastly, you're on this blog and I've got a fair few healthy recipes in the recipe section to give you ideas if you're feeling stumped. I'll be doing my best to post even more ideas (but I'll be honest, they'll most likely be on the Facebook page rather than the blog!). As I said before, I don't like the traditional idea of diets. So please, please, please don't treat this as a "diet" where you restrict yourself to the point of starvation or miss out on loads of awesome nutrients from whole foods. This is about establishing good habits in your everyday eating and exercise, not about playing the game. You are only cheating yourself if you binge, purge, dehydrate or take laxatives. Don't do it. Eat real food, exercise by doing things you enjoy that push you but don't injure you. It all comes down to doing things you think you can sustain for not just 4 weeks, but for the foreseeable future. This is about giving your lifestyle a kick up the bum to get yourself on track to FEELING good as well as looking even hotter than you already do. This challenge is also for people who are in a range where it is healthy to lose weight. This prevents people who are classified as underweight from losing more weight, motivated by the challenge, because I don't want to promote and encourage vulnerable people to reach unrealistic, unhealthy goals they may have. Diet Bet will not let you participate if your BMI is below 18.5, or if losing 4% of your bodyweight would result in your BMI being below 18.5. You'll be asked for your height during with your initial weigh-in. If you're not sure at all where to start in terms of food or exercise, email hello@thesprout.com.au and I'll answer any questions you have, or at least point you in the right direction. Depending on the size of the group, there might be a prize/prizes involved at the end of the challenge....I'll keep you posted!!! Good luck and I can't wait to have you on board. This is going to be the start of your fittest summer/winter/life! Victoria Carbone is a freak. No, really, she is. And I mean that in the nicest possible way. 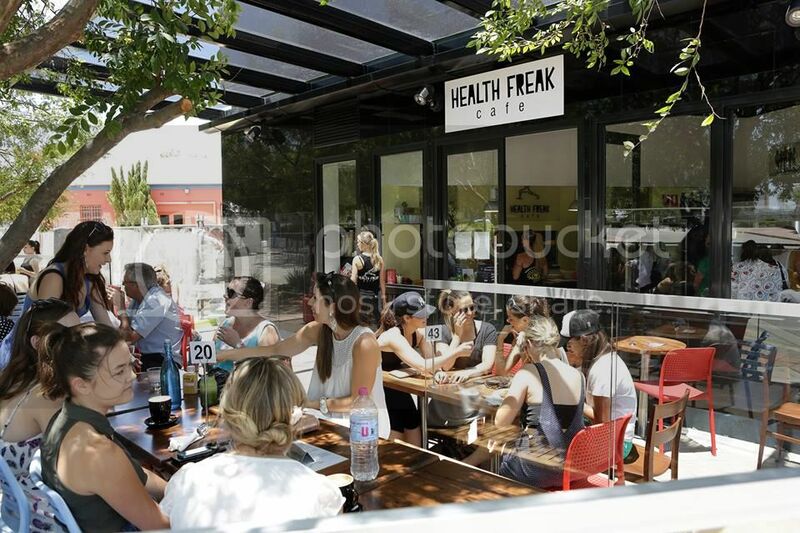 Victoria is the owner of Perth's newest nutritious culinary offering, Health Freak Cafe. If you're in the area (or even if you're not - the cafe is worth travelling for!) and are into nourishing nosh that is freakishly healthy yet damn delicious, you MUST try Health Freak. As somewhat of a health freak myself, it's so nice to go somewhere for brekky, lunch or arvo tea and think "Woohoo! I can eat all of these delicious morsels! ". Even the cupcakes. VEGAN SUGAR FREE GLUTEN FREE CUPCAKES. Lordy. You can find more info about Health Freak Cafe and its orgasmic menu at the bottom of this post. I wanted to know what it takes to be a health freak, so I asked the Super health Freak herself. I mean, after all, she is the glowing picture of health. And I want to look like I'm radiating sunshine out of my pores, too. I was a business accountant, but now I'm full-time running cafes. My mother always cooked for us and we generally ate lots of fruit & vegetables. I also started running at age 14 and loved it, so this is where my passion for health and sports started. Right amount of protein with every meal, it's all about balance. 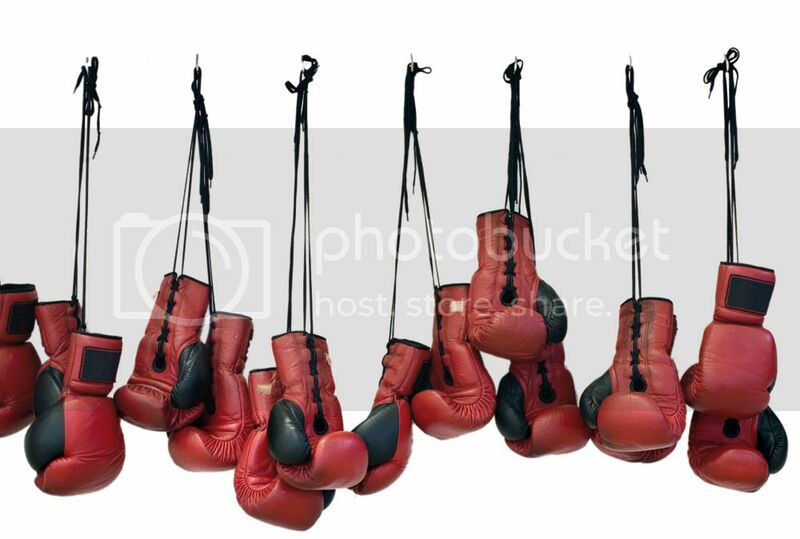 I weight train with my personal trainer 4 days a week and I do boxing every Wednesday. I love this sport. Lately this is hard to do, generally I would go to gym in morning and afternoon. A healthy mind is definitely what you need to be creative, I surround myself with positive people with great energy. My partner, my son and living in such a great place like Perth. Luminesce, this is an amazing beauty product for your skin. In regards to food, everyone should have kale every day. Cheese, I only started eating it a year ago and I love it. Are there any popular fitness, nutrition or health “trends” you’d like to see disappear? Not really , each to their own when it comes to a lot of these things, nobody knows your body like yourself I say. Check out Health Freak Cafe on Facebook and Instagram @healthfreakcafe! How did you sleep last night? If, like an increasingly large proportion of the population, you suffer from insomnia or generally find it difficult to clear your mind at bedtime, here's a little something you can pop on your bedside table. I’ve always been intrigued by the senses we have, and losing even one would be life changing. No tasting mum’s cooking, no watching your favourite trash TV, no cuddling with your dog and feeling how soft his ears are, no listening to your girlfriends re-cap a bad date, no smelling the roses/the coffee/clean laundry. Which is why I think we should make the most of our senses and push them to the sensory limits. My grandad went blind a few years ago. He was a computer nut, a woodworker and loved watching the cricket at the WACA. Fast forward to now, his life is completely different. Really, all he wants is a good nights’ sleep because the sun no longer controls his body clock. This got me thinking about ways to relax and calm the mind to drift off to sleep when you’re limited by the senses you do, or don’t, have. I always breathe very deeply to fall asleep, so to enhance the benefits of focusing on breathing for relaxation I started to look into aromatherapy. 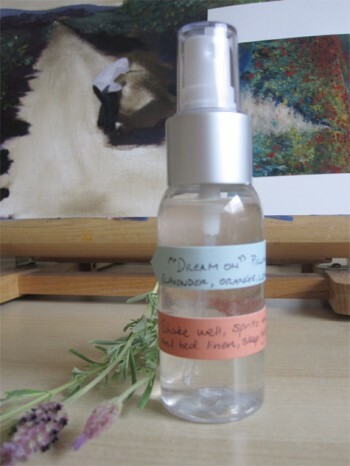 Here's a really simple pillow mist that lasts forever and has all the right ingredients for a solid night's sleep. According to Smell Boffins & Researchers, lavender produces calming, soothing and sedative effects when the scent is inhaled. Lemongrass revitalises the body and relieves the symptoms of jetlag, clears headaches and helps to combat exhaustion and stress-related conditions. Orange helps balance emotions and stimulates optimistic thinking...Just what grandpa ordered! You might need more if you’re bottle is bigger than about 50mL, or if you want a bit more oomph! Shake well, spritz on pillows and bed linen, sleep tight all night! Kavisha Jega is a [beautiful] Perth wellness coach who, upon hearing her answers to my Fit Chat questions, I felt I really identified with! She's all about seasonal, whole produce and helping people find their way in the maze of healthy eating. I’m a food and wellness coach! I help busy young professionals transition into a healthier way of eating and living by guiding them through specific dietary and lifestyle changes. Basically, I help clients to figure out what is right for them! Believe it or not I was not always a kale-loving wellness chick. In fact, I was the complete opposite. From childhood up until my early 20’s my diet consisted of fast food (nearly every day), soft drink, plenty of sugary treats, and then a lot of coffee and alcohol (in my first years of uni!). I follow the eat SLOW principle (Seasonal, Local, Organic, Wholefoods). In keeping with this eating style, I consume about 70% plant based foods (vegetables, fruits, herbs, activated nuts, and seeds) and about 30% of my diet is organic, grass-fed or pasture raised meat and eggs, and wild caught fish (salmon and sardines are my favourite). Eating unprocessed foods, as close to their natural state as possible, will without a doubt help you achieve good health. You gotta learn to love your dark leafy greens and healthy fats!!! I try and exercise about 5 times a week. I get bored quite quickly so I change it up pretty often! At the moment I’m loving reformer pilates and interval training. I always try and squeeze in a yoga session once a week as well. Rest. Make sure your getting enough sleep and downtime. Spend time alone with yourself once in a while and do what you love. Also surround yourself with people who lift you higher, instead of bring you down (I know that’s two pieces of advice…sorry :P). A big plate of colourful fresh organic food, random acts of kindness and travel! Name three health/food/fitness/wellness products you’ve been diggin’ lately. Fermented foods such as Kombucha and sauerkraut (I’ve recently started making my own! 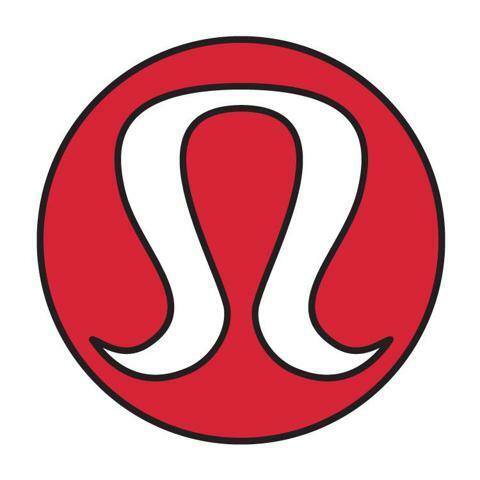 ), The Wellness Couch podcasts and anything Lulu Lemon. Dieting and calorie counting. I strongly believe we should exercise and eat out of love (the way exercise makes us feel and love of eating amazing tasting fresh food) rather than out of fear (fear of being fat). Everybody is built differently, so there is no right or wrong diet. Everything should be eaten in balance, and no crazy obsessions. Just relax and listen to your body. If you obsess too much about what you can and cannot eat, you become mentally drained and unwell. So what if you unexpectedly over-indulge on the weekend. The next day just get straight back on the health trail! The truth is your diet should be constantly evolving; you should be learning and trying new things all the time. Kavisha Jega is a food and wellness coach who works with busy young professionals by coaching them on how to shop, cook and eat healthily, empowering them to feed themselves in a way that optimally fuels their body and makes them feel and look good. Check out her website, Facebook and Instagram (@kavisha_jega) for more from this lovely soul. I use the wonderful, ancient techniques of energy healing and meditation to assist my clients to find out the causes of their stress or anxiety. A therapy session at LoC Therapies involves reading your energy field, with your help to determine what is not working in your life and why. As we work around your body we also bring to light alternative perspectives, behaviour or actions which can be used to overcome these issues. Then with the assistance of shaman clearing and reiki, the beautiful and nurturing energy healing helps you to regain the balance in your energy field. Check out Left of Centre Therapies on Facebook!